When the future is hidden, who holds the key to destiny? Lirael has never felt like a true daughter of the Clayr. She doesn't even have the Sight - the ability to See into the present and possible futures - that is the very birthright of the Clayr. Nonetheless it is Lirael in whose hands the fate of the Old Kingdom lies, while Abhorsen Sabriel is engaged in conflict elsewhere. As an ancient evil casts its shadow - one that opposes the Royal Family, blocks the Sight of the Clayr, and threatens to break the very boundary between the Life and Death - Lirael undertakes a desperate mission. Lirael is the sequel to Sabriel, which I read for the very first time this year and it instantly became one of my all-time favorite books. I was a bit hesitant to start with Lirael though, after I found out that there would be a different main character. I adore Sabriel fiercely, so I wanted to spend more time with her on new adventures. I was worried that Lirael couldn't possibly live up to Sabriel as well; I'm always weary when a series switches up the protagonist this way. It turns out though that I needn't have worried at all. 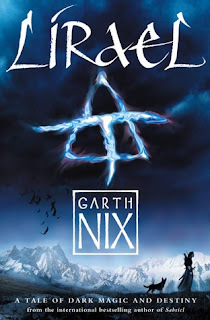 As with Sabriel, Garth Nix weaves an impressive high fantasy adventure that is richly atmospheric, overflowing with darkness, intensity and fantastic new characters to boot! Lirael is divided up into three parts, and the second part flashes forward about four years and reintroduces us to Lirael, now 18 and, still Sightless. It isn't long though until she finds a secret passageway, seemingly meant just for her. Once she follows the path, her true calling becomes a bit clearer. Soon after, she gets sent on a special quest. Eeep! Part two is also where we meet our other protagonist, Sameth, who happens to have some rather famous parents, which ties him into the previous book nicely. Finally, part three largely consists of our two protagonists finally meeting and joining forces. Character-wise, Lirael has a lot going for it. It's a relatively small cast, but they all shine in their own way. Lirael was quite different from Sabriel, but she struck me as having certain compatible traits with my favorite heroine. I quickly grew to love Lirael almost as much as I did Sabriel. Lirael for her part, is the definition of an introvert. She prefers to be by herself, even though she's terribly lonely at times but she soon makes a friend for herself in the form of a magical, talking dog, appropriately named: The Disreputable Dog. I adored their back and forth and how loyal and helpful that the dog was for Lirael. Considering that my beloved Mogget is largely absent for the better half of the book, the Dog filled the void nicely because she's just as mysterious and powerful as Mogget. Of course, I was thrilled when Mogget finally showed up, meeting with Sameth almost as soon as the boy sets off. Speaking of Sam, for his part, he caught my interest straight away. When we meet him, he displays impressive heroics, that end up costing him dearly throughout the rest of the book. I felt for him. He was quite compelling in his own right, but I admit that I still preferred Lirael's chapters to his...possibly because her character felt more relatable to me. Where Garth Nix's writing especially shines though, is in his world-building and his skill at setting a dark and delicious tone. As with Sabriel, we're dealing with Necromancy as well as Magic, both Charter Magic and Free Magic. There are magical items, and the magic itself can be conjured by sound (like bells, pipes or whistling) and by marks, called Charter-marks. The Abhorsen is charged with sending the dead back into Death, but there are evil Necromancers, hell-bent on bring back the dead and forcing them to serve, to hunt, to spy and to kill for their cause. The usage of Necromancy and 'living-dead' is already eerie enough, but Nix's way with words makes you feel like the danger is ever present, constantly lurking around every corner. Once again, I was blown away by how the story is so completely immersive, I felt totally submerged in this world, no matter what else might have been on my mind when I started reading. I have nothing but praise for this series! On a final note, I listened to Lirael on audio and just like Sabriel it was narrated by the incomparable Tim Curry. I don't know if it's because he's an actor but his narration is a performance through and through and it works incredibly well with the material at hand. Audiobook and fantasy fans should listen to this series based on his performance alone! Honestly, I feel like there is not enough words in the world to express the love I have for this series. 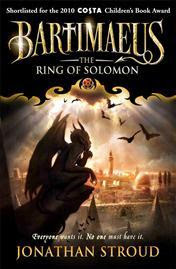 Highly recommended for fans of dark and detailed high-fantasy! Oh wow, Micheline! I'm so glad this second in the series exceeded your expectations, even with a new main character to follow :) Those are the best surprises. I get you so much! Oftentimes, I avoid series where the heroine is different in every installment because I have serious attachment issues. Haha! But I'm glad to know that you discovered Lirael to be just as a great heroine! 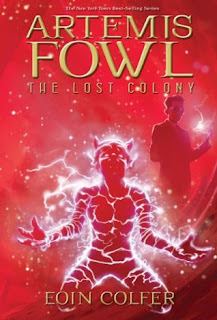 I really need to get my hands on this series, stat! YES^^ I only found out about the new heroine after I'd totally fell in love with the first book! After that I waited and waited because I was so worried. LOL, clearly I have serious attachment issues too XD But yeah, I'm glad that I finally gave Lirael a chance - I was missing out! I hope that you'll read the series soon too Faye, I'd love to compare notes! Oh excellent, I'm glad this one was a total win despite changing protagonists! btw, Tim Curry also narrates A Series of Unfortunate Events, which are all great quick reads, and he also does such a fantastic job with the voices - so I recommend giving those a listen, too! I was too Aylee - I was really worried before I started but it turned out that I worried for nothing because Lirael was just was amazing as Sabriel was :D Oh man, thank you SO MUCH for telling me that, I will make sure to listen to A Series of Unfortunate Events instead of reading them so that I can bask in Tim Curry's awesome voice some more! Oh man, Tim Curry has such a great voice! He must be a fantastic narrator! And a Great Library, you say? I think I love this already. :D Garth Nix has been on my authors-I-need-to-read list for a long time, and I'm sure Sabriel is on my TBR. 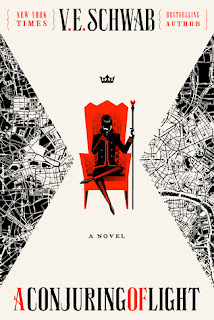 I've been seeing Nix's Newt's Emerald around Goodreads and Twitter a lot lately, and I may go with that one first because I'm super, super intrigued by the Regency England setting. He is pretty much THE BEST narrator ever - tied with Wil Wheaton of course! YES. A Great Library which is now one of my favorite fantasy libraries of all time :D I haven't read Newt's Emerald yet but I got myself a copy at BEA this year...maybe we could buddy read it at some point? Wow Micheline! This series sounds so good! It's great to see that you were won over by this book despite being hesitant to read it! 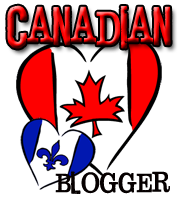 I'm adding it to my TBR, I tell you!